Trying to understand another generation's fashions is -- how can we put it -- challenging. Take the 1990s as an example. Can you explain a hairstyle called the "Rachel"? According to Enslow Publishers' new book, Fabulous Fashions of the 1990s, the Rachel "was a little curly and a little straight. It was shoulder length but had short pieces, too. It was golden brown and a bit blonde." The hairstyle, made popular by its association with Friends star Jennifer Aniston, became part of the decade's fashion lexicon. Find out more out 90s fashions in author Felicia Lowenstein Niven's fun, factual 48-page book. The title, included in Enslow's "Fabulous Fashions of the Decades" series, is available in paperback for $7.95. A library-bound edition of Fabulous Fashions of the 1990s is available to schools and libraries for $17.95 (price reflects a 25% discount from Enslow's list price for the library-bound edition). Let's do some more limericks! 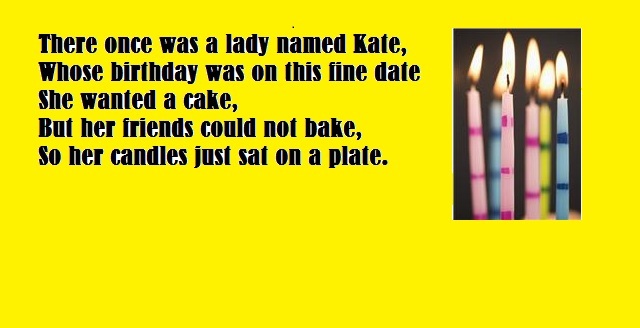 Here are some more limericks from the Funny Bone Jokes series! hoping to find some big prey. and scared all the animals away. Hopefully you'll get the invitation. Now guess what's in store? Cheering throughout the whole nation! I caught a big snake that was gray. Yet he escaped and slithered away. It's Limerick Day at Enslow! Thought we would forward some limericks from Enslow's Funny Bone Jokes series. it should only be done with your toes. It's a rule that everyone knows. Mostly made out of sand?" All the kids will respond, "it's a beach!" "It's chocolate that's making me fat." The mouse looked more like a rat. There are an additional 3 titles in this series.Written for elementary readers, these titles will keep your students laughing! 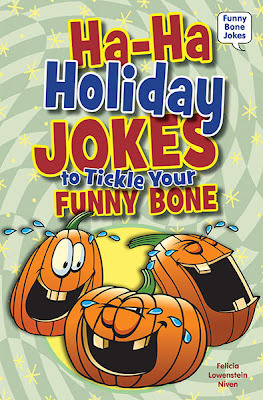 ﻿ ﻿Our Weird Science Jokes to Tickle Your Funny Bone is part of a six-book series Funny Bone Jokes that include jokes, riddles, knock-knock jokes, tongue twister, limericks and lots of fun and interesting facts. These titles are perfect for comedians of all ages but they are written with 3rd and 4th graders in mind. Last week we started off the New Year with a joke from Ha-Ha Holiday Jokes to Tickle Your Funny Bone. Today it will be from Animal Jokes to Tickle Your Funny Bone. What do you call a crazy chicken? A cuckoo cluck. Here's a fast fact about chickens: did you know that there are more chickens on earth than there are humans? China has the most people in the world and also the most chickens. There are more than 3 billion chickens in China! The United States has only 450 million chickens. Why did I pick chickens to write about? I don't know. Just thought it would be interesting to see what kind of jokes can be written about chickens, I guess. This joke book includes chapters on jokes about cats, dogs, birds, ocean animals, chickens, jungle animals, farm animals, snakes, insects, and bears. It also includes an activity to write your own joke book. There are more than eight thousand different kinds of reptiles. They can be less than an inch long or they can weigh a ton. When reptiles hatch, they look like miniature adults. Reptiles have dry skin and scales, while amphibians have moist skin and do not have scales. These facts were pulled from Learning to Care for Reptiles and Amphibians, written by Felicia Lowenstein Niven.